Chelsea are being increasingly tipped to seal the transfer of in-form Genoa striker Krzysztof Piatek for around £35million. The Poland international has made a sensational start to life in Serie A after a low-key move from Polish football in the summer, and has earned recent links with several top European clubs. Chelsea could certainly do with a striker like him in their ranks after the poor form of Alvaro Morata and Olivier Giroud, and Ladbrokes have Piatek at just 2/1 now to be the Blues’ next striker signing. 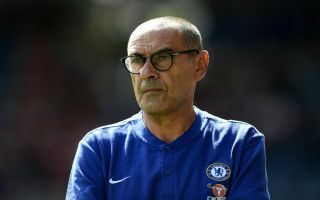 The Mail recently claimed both Piatek and Inter Milan hot-shot Mauro Icardi were the prime targets for CFC manager Maurizio Sarri, but it is the young Pole who’s ahead of him with the bookies right now. Ladbrokes claim Genoa could let the 23-year-old go for as little as £35m, which looks potentially brilliant business for a club like Chelsea. Given their fine start under Sarri, one can only imagine what strong title contenders they’d be if they had a reliable option up front to take the pressure off Eden Hazard to score all their goals.